Who built Qalawun Mosque? and when it was built? 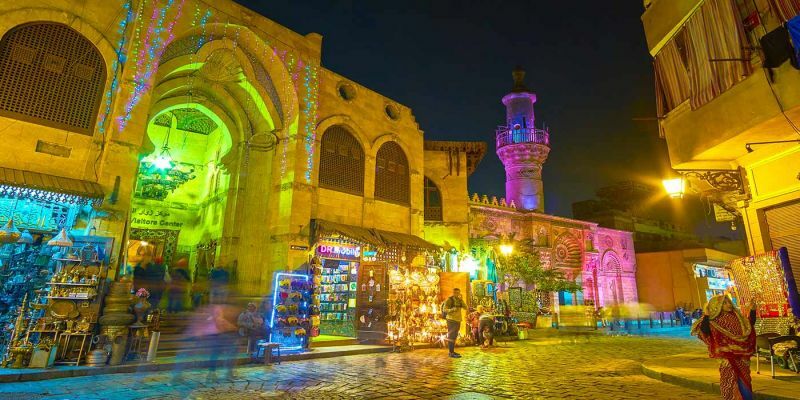 The Impressive complex of Sultan Qalawun was built along a famous historical street in Cairo which is known as Shari' el-Muizz street in 1284 by Sultan Al Mansur Qalawun. 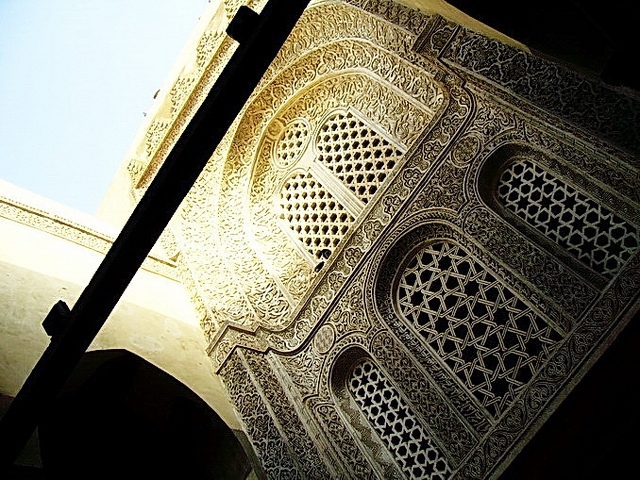 The complex houses a Mosque, a Medersa, a Mausoleum and a Mauristan inside its walls. The Mauristan was replaced by a modern hospital in the 1920s. 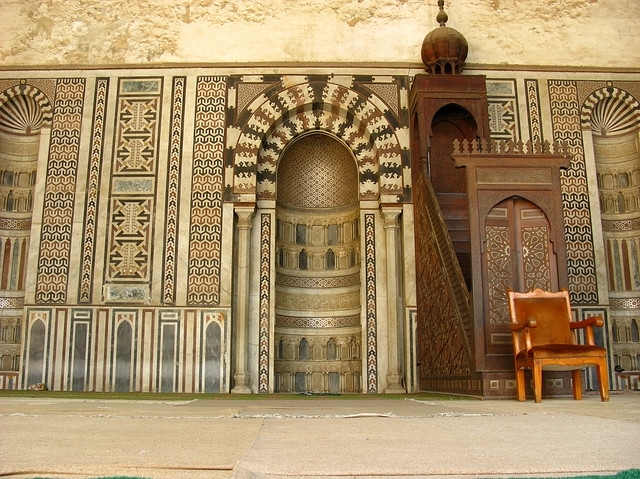 The complex displays the typical Mamluks architecture at that time. 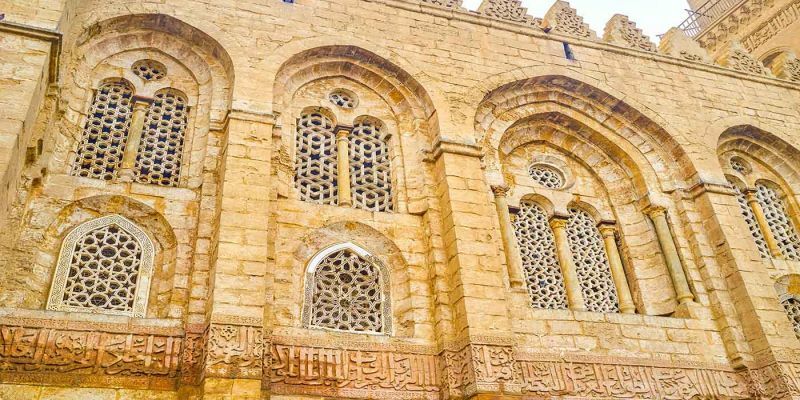 The exterior windows of the entire complex are inspired from Gothic style, which Sultan Qalawun was familiar with from the Crusader's churches style of architecture. 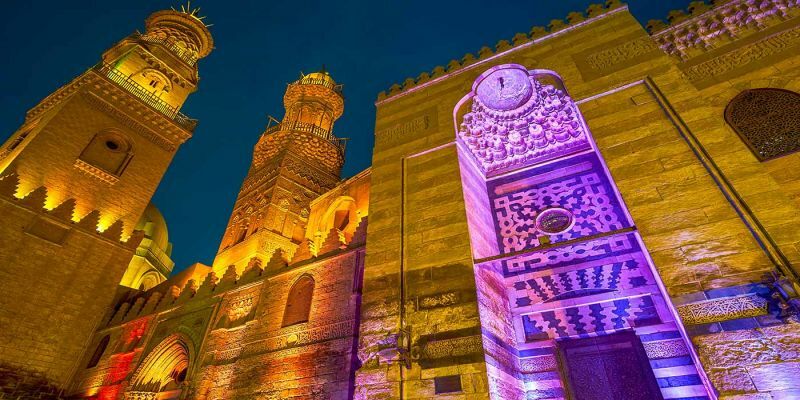 The complex is built at the heart of Islamic Cairo at a place known as Bayn Al-Qasreen, or ‘Between the Two Palaces, named for the two Fatimid Palaces that originally stood here. Like most of the Fatimid buildings in the city, these palaces were built over by subsequent rulers who sought to erase the influence of the Shi’a dynasty. Qalawun actually built his complex on the foundation of one of these palaces. What does the complex of Qalawun include? Qalawun’s memorial included a large hospital, a madrassa-style mosque (distinguished by the teaching spaces on each of the four walls for each of the influential schools of Islamic thought) and finally his mausoleum. The hospital was state of art in its day. It offered 2000 beds and many rare amenities to patients. It was working up until the late-Ottoman period (19th century) but was demolished in 1910. The highlight of the Qalawun‘s Complex is the mausoleum. It was modeled on the Dome of the Rock in Jerusalem, but it stands out in its own right. 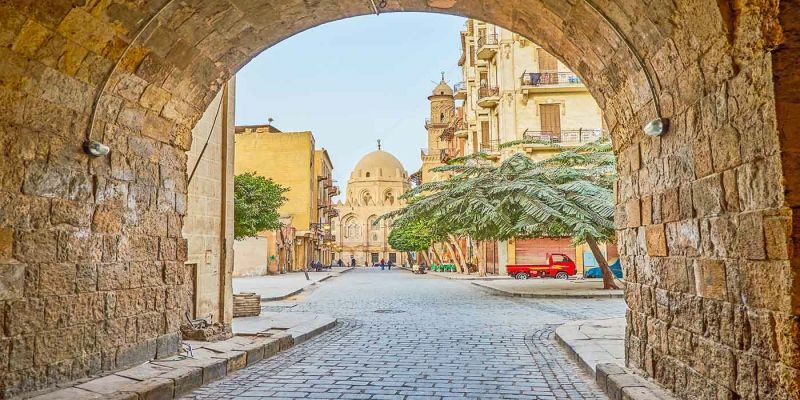 The building was restored as part of the project to revive the entire Al-Muizz Street and it now stands out as one of the most beautiful monuments in Cairo. In fact, it is regarded as one of the most beautiful buildings across the Muslim World—a mausoleum to compete with the famous Taj Mahal of India. Where is the complex of Qalawun located? 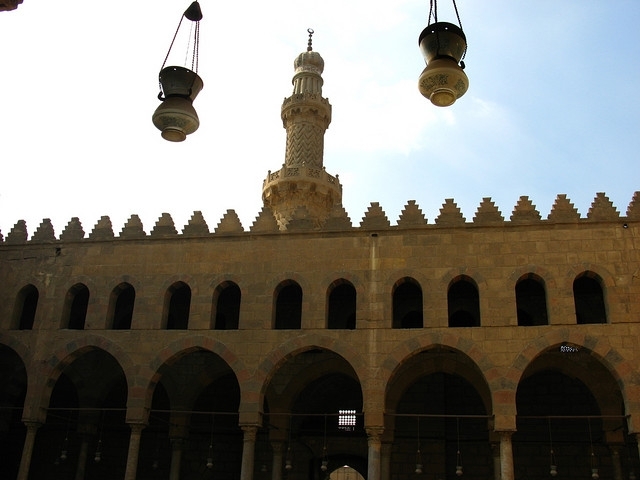 This impressive complex is one of several Mamluk madrassa/mausoleum complexes that still stand along Al-Muizz Street. 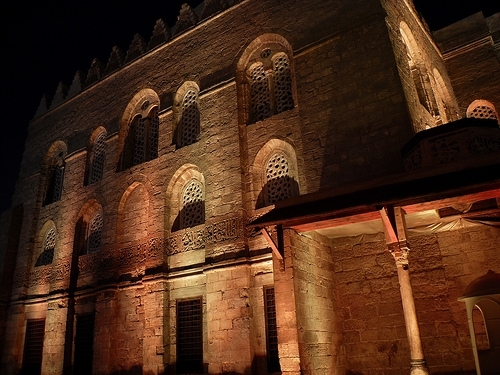 The Madrassa of Sultan Barouq and the Mausoleum and Madrassa of Al-Nasir Muhammed are also along Al-Muizz Street, but of these two only Sultan Barouq’s religious school is open to tourists. The Qala’un Complex, dating from 1285, is the oldest and most impressive of these structures, built to memorialize Mamluk rulers of Cairo. 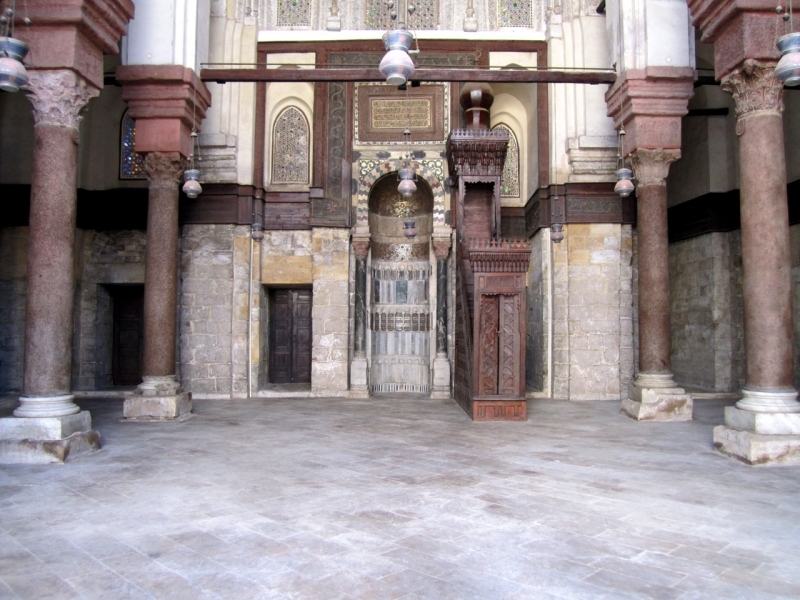 The Mausoleum at the opposite side of the Medersa is considered as the most beautiful building in Cairo. The exterior facade of the Mausoleum is aligned to the outside street, while the orientation of its interior is like that of the Madrasa. The octagonal shape of the building allows the prayer qiblah (direction) to wall itself to face Mecca. Inside the building, the dome is lighted by the intense color from glass set in plaster and carved with arabesque designs. The Marble strips, panels of polychrome stone, the painted coffered ceiling, and the decorative mihrab provide insight to Mamluk decorative arts.